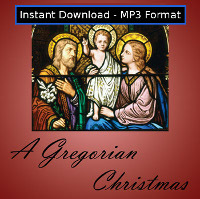 Thousands sold -- our best seller! 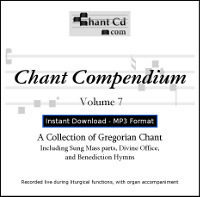 The Gregorian chant on Chant Compendium 3 (Mass Propers, Divine Office, Kyriale, etc) was sung with the right intention, and you can perceive it as you listen. This chant is authentic and traditional; recorded during actual liturgical functions. 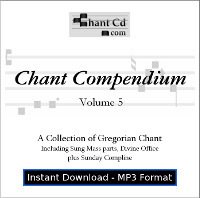 You may have never heard Gregorian chant like this -- so real, so beautiful, so inspiring! Over 79 minutes of centuries-old Gregorian chant, recorded live, sung in the traditional Solesmes style with a professional organist accompanying every piece. Includes the sung Litany of the Saints (1962 edition, 16 minutes, in Latin, with organ accompaniment), Mass parts (Kyriale 9 - a beautiful melody used for feasts of the Blessed Virgin Mary), and parts of the Divine Office. 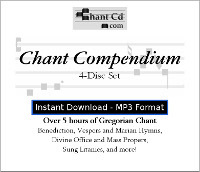 Includes lyrics sheet. 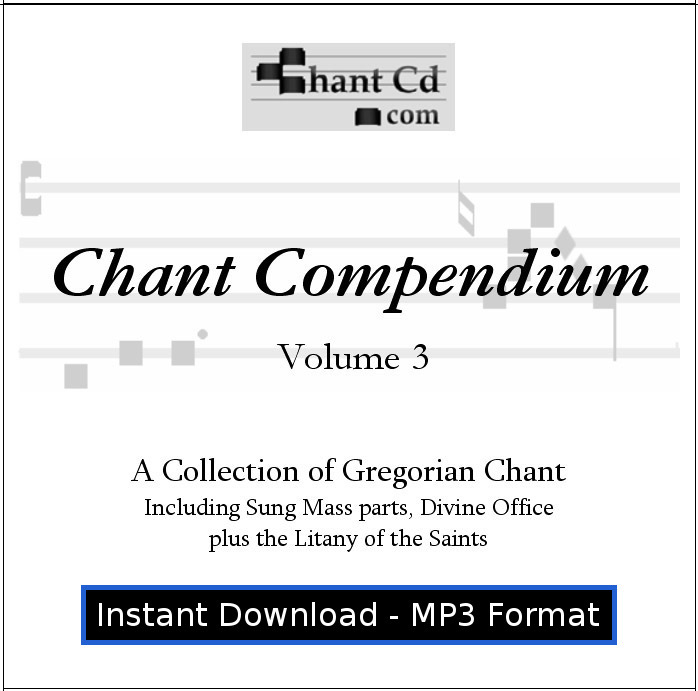 Download a sample: Litany of the Saints Ecce Virgo Gloria IX. 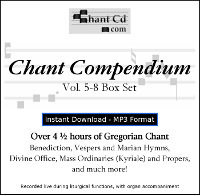 Also available as part of the Chant Compendium 4-Volume Box Set.